“It’s just like they’ve taken the gloves off and they seem to think no one in the world cares about fast-food workers,” employee Chris Merkel says. Morrisha Jones is eight months pregnant—and suspended without pay from her job at Burgerville. She says that's because the restaurant chain is retaliating against her for joining Burgerville's nascent labor union. Her official violation? She left her name tag at home. But she says her manager didn't hide his real intent: "Whoever is involved in the union," Jones recalls him saying, "he's going to treat them differently." Jones, 23, works as a cook at the Burgerville near the Oregon Convention Center in Northeast Portland. Employees say it's the highest-trafficked store in the chain, which is privately owned and headquartered in Vancouver, Wash.
Four of Jones' co-workers at that restaurant tell WW similar stories. They claim their manager is retaliating against them for agitating to join the Burgerville Workers Union. In the 72 hours after 31 of the restaurant's 34 employees signed and presented a letter to management March 11 asking for voluntary recognition, workers say managers at the Convention Center store doled out dozens of write-ups, two suspensions and one firing. 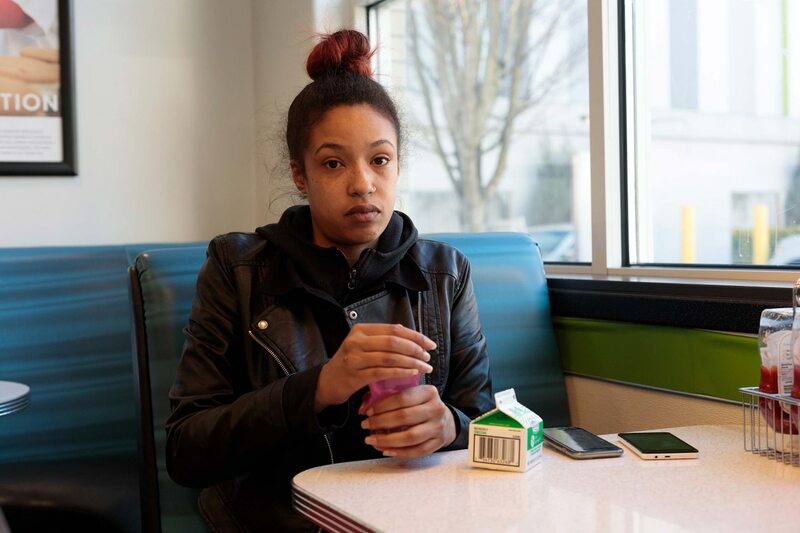 "I think a lot of people are afraid to come into work because they're afraid of getting pulled into the office and written up," says Nisha Williams, a Burgerville worker who says she was written up March 14 for texting while taking orders. (She says she hadn't even looked at her phone.) "They didn't even pull me into the office. They wrote me up on the floor in front of customers." Employees say the justifications for the disciplinary actions are thin, with workers getting written up for innocuous things like not wearing name tags in the proper position or commiserating with co-workers about long lines in between taking drive-thru orders. 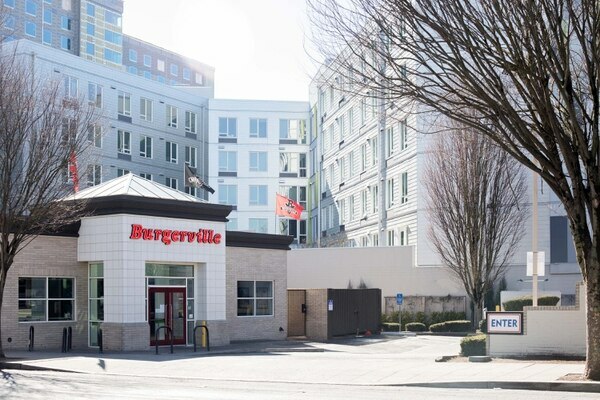 Burgerville would not make a representative available to WW, but did issue a statement, vigorously denying the discipline is connected to the union drive. "All disciplinary actions are based on facts unrelated to the union," the statement said. "Burgerville is pro-employee," it continued, "and remains committed to all of its employees having a voice in the decision of whether or not to join a union." Last April, employees at the Burgerville on Southeast 92nd Avenue at Powell Boulevard voted to form the first union at a fast-food chain in the nation. 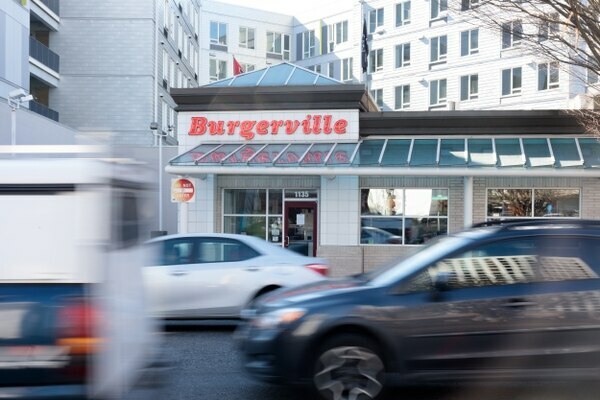 Since then, the union drive has spread to four other Portland-area Burgervilles—including the one near the Convention Center, which employees say serves more customers than any of the company's 41 other locations in Oregon and Washington. And on March 16, the union efforts expanded beyond Burgerville to Portland-based fast-food chain Little Big Burger. That company, founded by Portland chef Micah Camden, was sold four years ago to Chanticleer Holdings, which, among other things, owns Hooters restaurants. Local labor lawyer Mike Tedesco says he's not surprised by the level of conflict wrought by Portland's burgeoning fast-food union movement. "There's a playbook some employers have—certain things they do to get the word out that there will be consequences to organization," Tedesco says. "One way to get the word out is by intimidation. Nobody wants to lose their job." Tedesco says employees' right to form unions in the private sector is protected under the National Labor Relations Act. That means disciplining workers for "concerted activity," or union organizing, is illegal—and he recommends employees complain to the National Labor Relations Board, the same federal agency that ratifies union drives. Williams has. She says she was told there is a pending case for the Convention Center Burgerville. A representative for the regional NLRB could not be reached for comment. Other workers at the Convention Center Burgerville who spoke with WW say they are fed up with what they allege is increasingly hostile treatment. Chris Merkel was one of five employees who handed their managers the letter signed by workers demanding voluntary union recognition. "Everybody has signed on for their own reasons," the letter read. 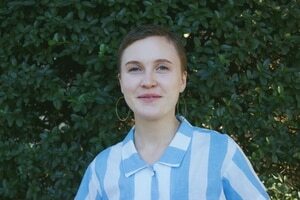 "Some of us need a raise to pay rent or support family members; some of us need consistent scheduling so we can plan our lives; others of us are ready for 15-minute breaks, holiday pay and a free meal shift." They asked for a reply within 48 hours. Merkel, who has worked at the Convention Center location for over three years, says management's response came in the form of write-ups. On March 14 at 2 pm, the end of his shift, Merkel says two managers pulled him aside. He says one manager told him the other had caught him on his phone in the kitchen. "It's just like they've taken the gloves off and they seem to think no one in the world cares about fast-food workers," he says, "and they can just treat us however they want to." Burgerville declined to respond to the details of employee claims, except to say they are unrelated to the union drive. The BVWU is part of the Industrial Workers of the World, an 112-year-old labor union based in Chicago. Emmett Schlenz, a member of the IWW who works at and helped unionize the Southeast Hawthorne Boulevard Burgerville, says: "We're incredibly disappointed with the company. They consistently brand themselves as a progressive and ethical corporation, but when it comes to how they treat workers, and especially those trying to unionize, there's nothing progressive or ethical about their behavior. "We've never seen anything quite like this," he adds. "It's pretty gross and it's pretty brutal, but we're willing to fight." Dameka Scott isn't so sure. Scott says she was disciplined and sent home March 14 at the start of her shift for wearing jeans that had tears in them, a style she's worn to work before with no consequences. "I feel like they just don't want us to have a job," Scott says. "I don't even think I'm going to make it to the union." Reporting gets results: A day after this story published, Burgerville told workers it plans to rescind the disciplinary actions at the Convention Center store.